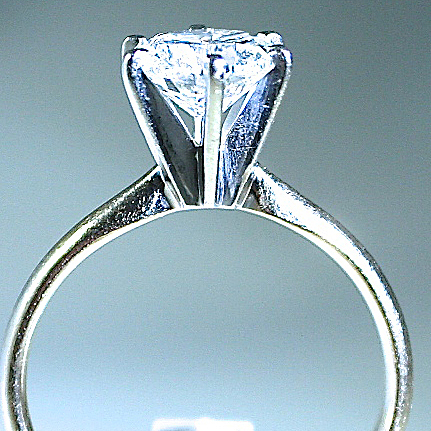 The solitaire style engagement ring contains one round brilliant cut diamond set into a white gold six prong head. 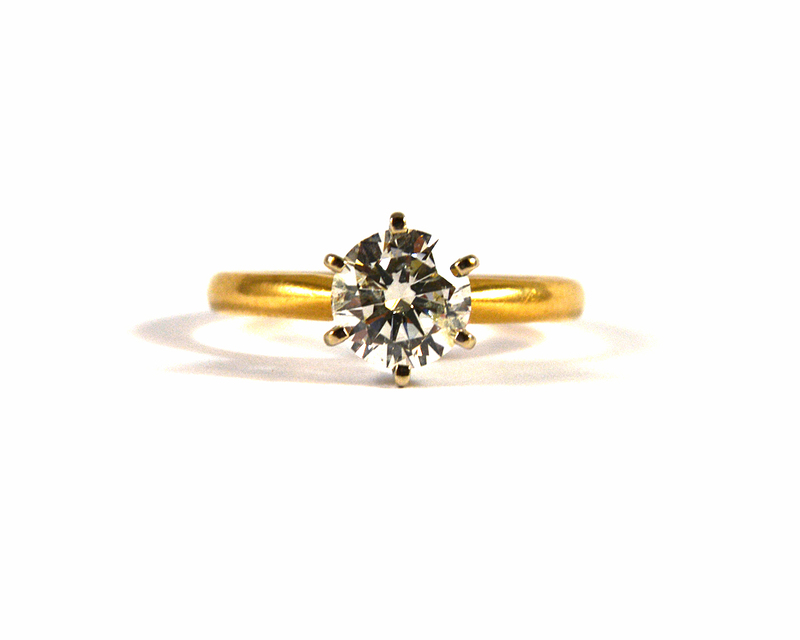 The ring is finished with a yellow gold shank. 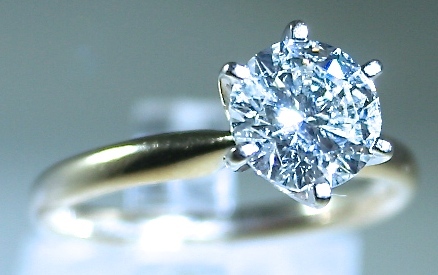 The ring measures 9.0mm at the top, rises 8.4mm above the finger, tapering to 2.1mm wide and 1.4mm thick at the base of the shank. 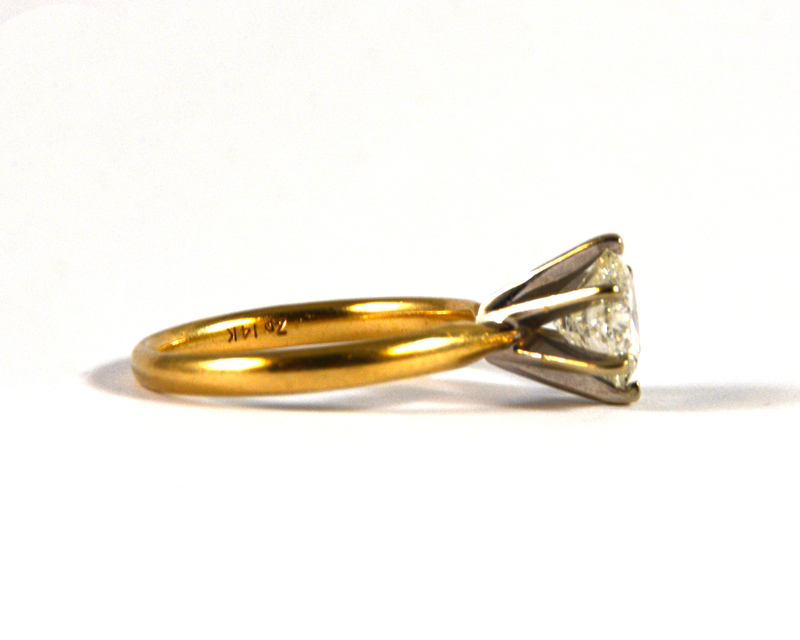 GSL 402183 1.51 CTW is engraved on the inside shank.